We are always amazed by the different ways that our supporters choose to raise money for us and when Dan Spencer got in contact with us last November with his idea for fundraising, we were staggered and in awe of what he was proposing. 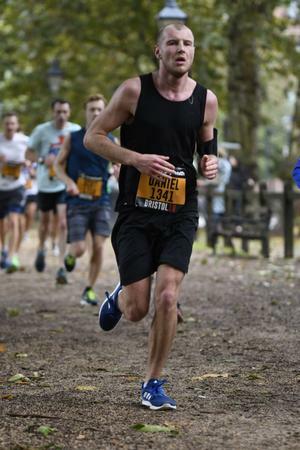 In 2019, Dan will be taking on a physical challenge – the likes of which we have never seen before – by running 12 half marathons in 12 months; that’s an incredible commitment to training for a 13 mile race in each month of this year, or the equivalent of running from Bristol to Sheffield! The money that is raised will go towards the services and projects that Bristol Mind provide, for example; supporting and signposting a crisis call and sending out information, a MindLine call with someone in distress, supporting a client through a PIP assessment, or training an advocacy or MindLine volunteer. Dan’s first race will be the Gloucester Half Marathon on Sunday 20 January, followed by the Brighton Half Marathon on Sunday 24 February. We will be keeping track and posting about Dan’s progress throughout the year, and although we may not be able to be physically present at the races we shall definitely be his virtual cheer team from Bristol! Dan has set up a Just Giving page, ‘A Half a Month’, where you can show support and encouragement for his endeavour by donating whatever sum you may be able to. Good luck, Dan, from everyone here at Bristol Mind. Dan running in a previous race!